After a significant win in the first game it came down to the last shot in the second end, a double take-out, which was truly a team effort. We placed second overall. The event was held March 8 in Bancroft. 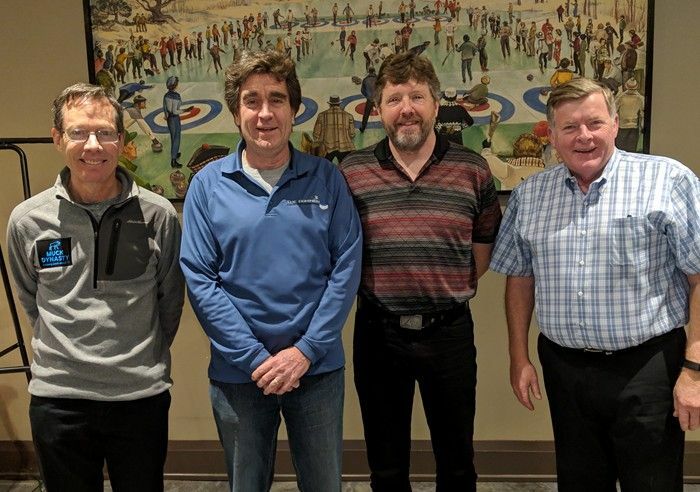 Team Edmondson won the early draw at the St Patrick's Day Bonspiel held at Thornhill Golf and Country Club March 9th. Team Aziz started strong with a decisive victory in their first game and then were narrowly defeated by the team that went on to win for their 3rd year in a row (Team Carr from Welland). The second day Team Aziz won both games, taking 9 ends and a measure to get the final win. It was worth it as the team came in second overall. This team came second out of 14 teams in the Milton Bonspiel. We even got a special trophy for second!!! 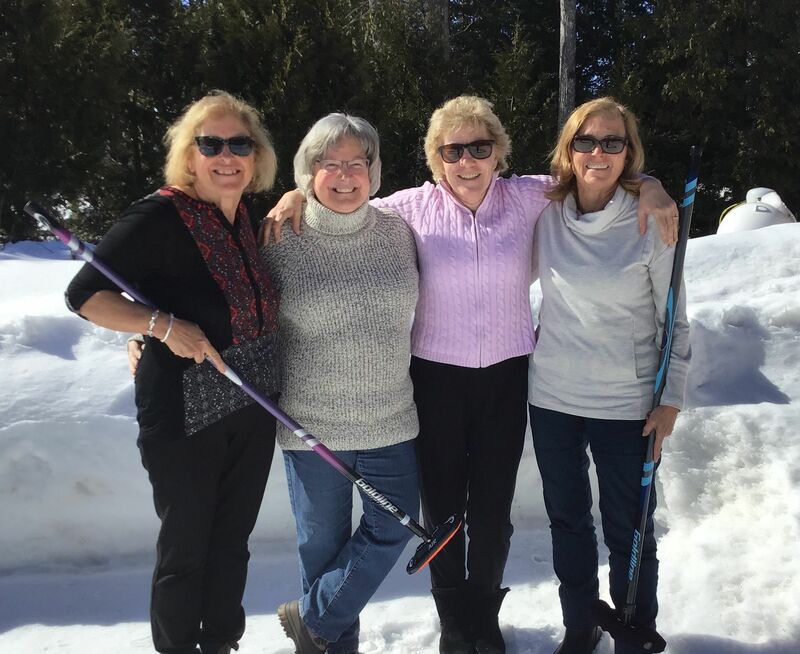 Joanne Courchesne (second), Deb Seago (lead), Jennifer Aziz (skip), Sarah Sils (vice) Special thanks to Suzanne Tennier who was lead on Wednesday morning and Catherine Macmaster who played lead on Wednesday afternoon. We thank Special Olympics Coaches Lori Freure-MacMillan, Karen Lalonde and Jack Hansen for all their intensive coaching in preparation for the Provincial games and the World Lefthanders for their continued support. Team Banton and Coaches Delores McCallum and Patti Hansen will be attending. 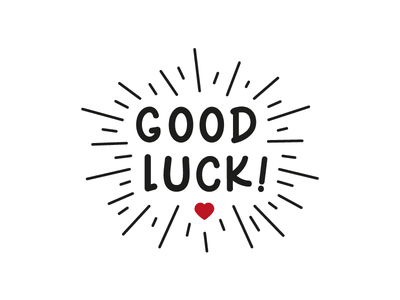 Good luck and good curling to the team! 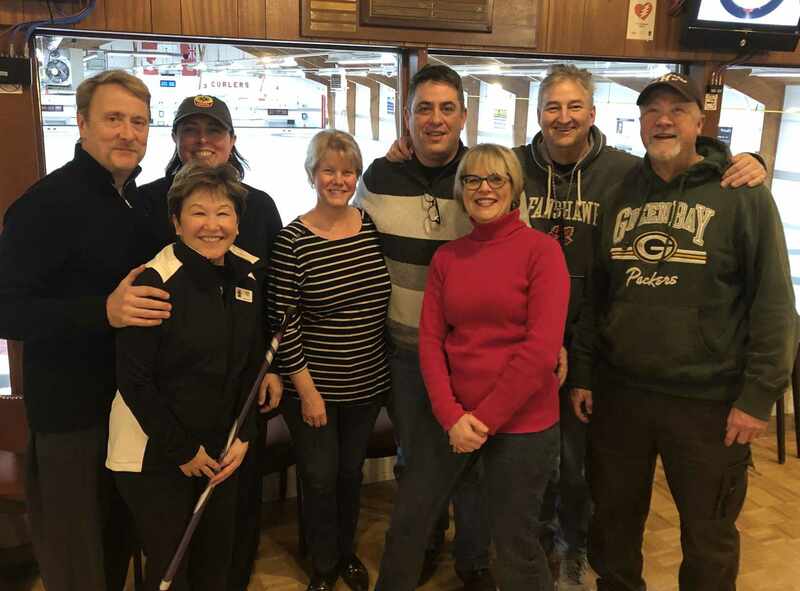 Team Getson and Team Turner having a great time at the Harvest Goodies Mid-Winter Blues Mixed Bonspiel! January 19 at the Milton Curling Club. 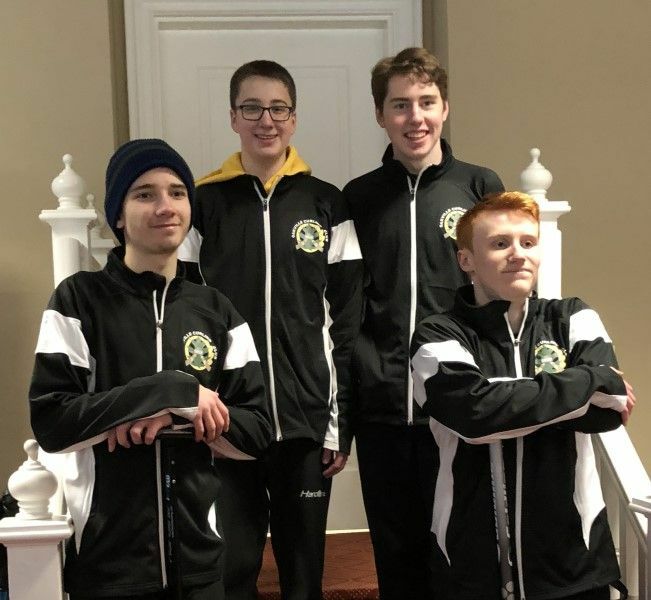 Team Johnson won the 2019 Burlington Golf & Curling Club youth cash spiel on January 13. Special thanks to coach Danny Sugimoto for all of his support this season! 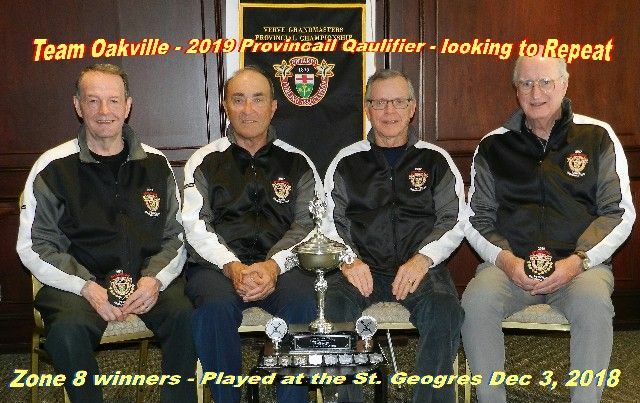 Team Lawton is looking forward to representing Oakville Curling Club at the Ontario Masters Championship in Ingersoll January 9 - 13. 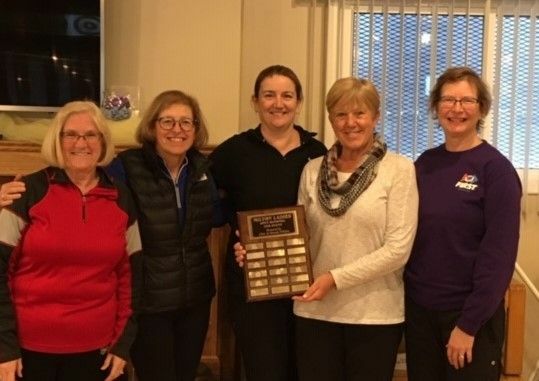 The team won the B final in the provincial qualifier held December 15 - 16 at the York Curling Club in Newmarket. Special thanks to Don Moseley Williams who stepped in on short notice to help us to victory in our final game, sparing for Don Pearson who sustained an injury the previous day. 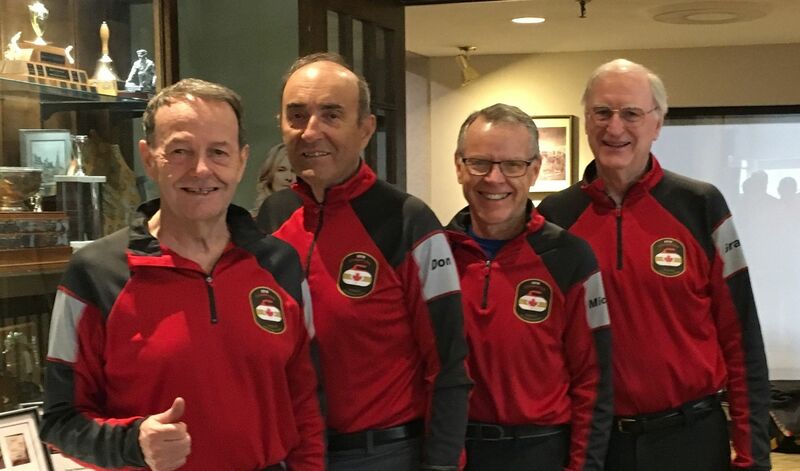 Team Edmondson is honoured and pleased to represent Oakville curlers at the GrandMasters Provincial Championships March 13-16 at Thornhill Golf & Country Club. This event is sponsored by Verve. 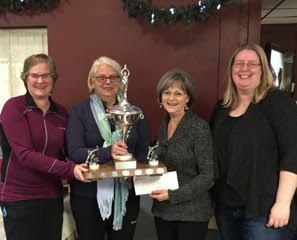 Team Edmondson won CurlON Zone 8 held Nov 26-Dec3 at St Georges Curling and Golf. Players are shooting for back to back Championships. 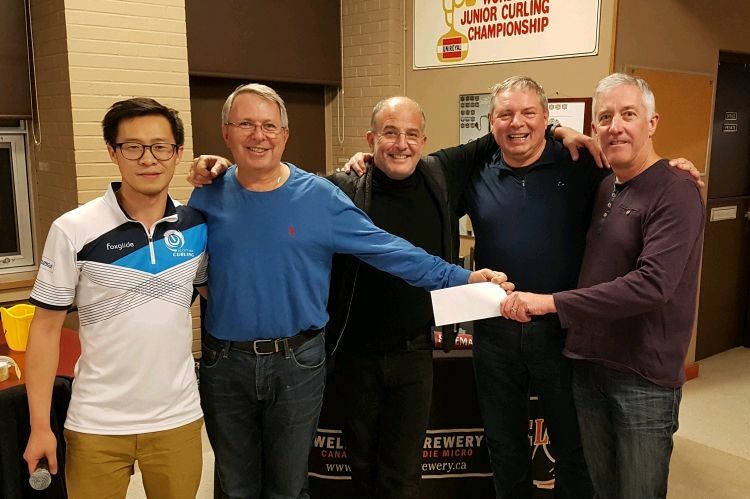 Team Mikola won three straight games at the Niagara Falls Curling Club Festival of Lights 2018 Bonspiel on Nov 21-22. Congratulations on scoring the highest points to secure the overall trophy. Oakville Curlers Rock! 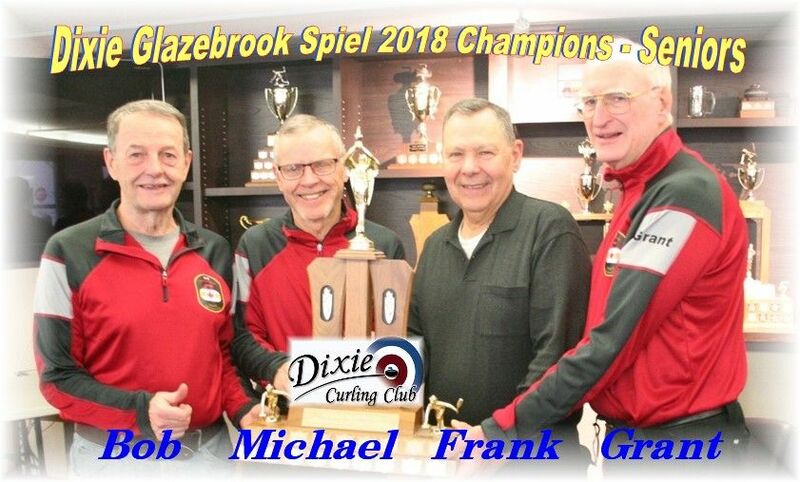 Team Edmondson rose to the top of the field in the Glazebrook Seniors Spiel held at the Dixie Curling Club. A special mention to Grant Clark who won back to back spiels and thanks to Frank Schneider who filled in for Don Moseley-Williams on short notice. 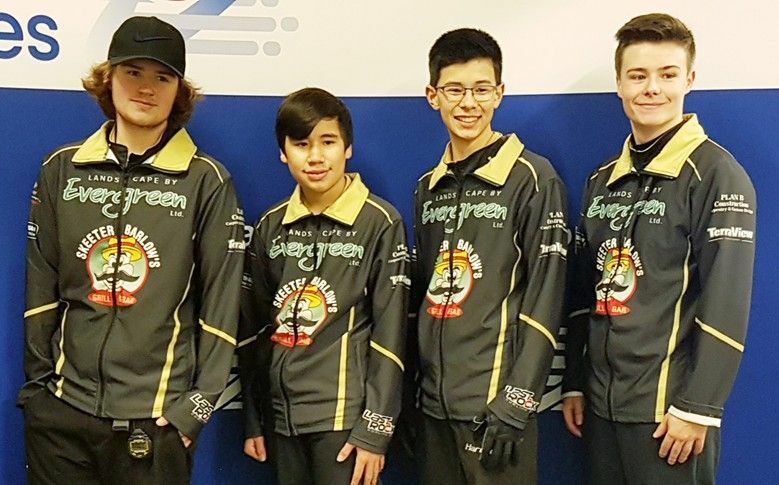 Two Oakville Curling Club members, Christopher Oka and Peter Schneider, members of Team Levac, won the U18 Pegasus Slam in Orillia on November 11. The boys appreciate being able to practice at Oakville as a major contribution to their development. One for The Record Books – Team Webster!